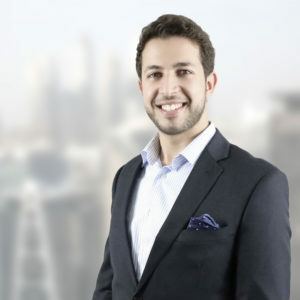 Amine Dahmani heads Wilben’s Bank Relationships and Distribution and is responsible for placing our receivables portfolio. He is located in the head office in Dubai. Amine started his career at BNP Paribas’ Sales trading desk in Algeria before joining Citibank through their Management Associate Program. His last position at Citibank was as a Relationship Manager within the Corporate Banking team where he covered the Public Sector, Financial Institutions and top tier local corporates operating across various sectors including Construction & Engineering, Power and Energy. Amine holds a Bachelor’s degree in Management studies from the University of Nottingham in the UK.